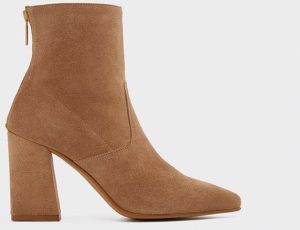 Whether you’re someone with a closet full of shoes or a minimalist who spends her wardrobe budget elsewhere, there are certain pieces of must-have footwear that every woman needs. 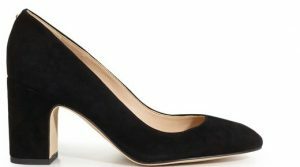 Here I’m giving you my own visual run-down of which shoes every woman needs in her closet. This polished and sophisticated is divers and pairs well with trousers for work and jeans on a night out. I recommend it as a neutral black essential. So versatile, the neutral bootie is a good pair for skirts, shorts and the obvious trousers and jeans. It’s easier to style than the tall boot and is perfect for climates with mild winters. Put away those rubber flip flops and go for a nicer slide instead. 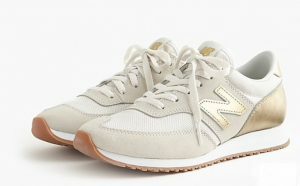 These are casual and convenient, the go-to when running errands. A fun leopard print helps you maintain an elevated style with an ultra-casual shoe. Your running shoes don’t work for a morning of running errands. Instead, wear an elevated sneaker. One that doesn’t go to the gym or hit the track. For a nicer alternative, go for something clean and white. 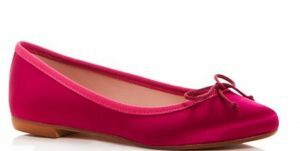 Every woman needs flats in her life. They’re more comfortable than heels and allow you to add a pop of color or an interesting print. Which of these must-have shoes are missing from your own closet? Once you have these essentials, have some fun with different styles, looks and textures. Previous PostChange your shopping habits for fallNext PostStuck in your style? Try something new!